This six-volume set presents cutting-edge advances and applications of expert systems. Because expert systems combine the expertise of engineers, computer scientists, and computer programmers, each group will benefit from buying this important reference work. 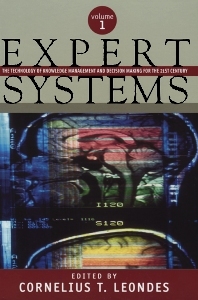 An "expert system" is a knowledge-based computer system that emulates the decision-making ability of a human expert. The primary role of the expert system is to perform appropriate functions under the close supervision of the human, whose work is supported by that expert system. In the reverse, this same expert system can monitor and double check the human in the performance of a task. Human-computer interaction in our highly complex world requires the development of a wide array of expert systems.